Why be someone’s better half when you can be your own whole? Romantic comedies are often the films we turn to when we need a fun pick-me-up. They make us laugh, cry, and want to be in love. These movies can also instill a pretty dangerous message in us. They relay the message that we become better when we’re in love, that it takes a love interest for us to become our best selves, and that we’ll never be truly happy unless we’re in love. But that's not true! Don’t get me wrong, I love romantic comedies. 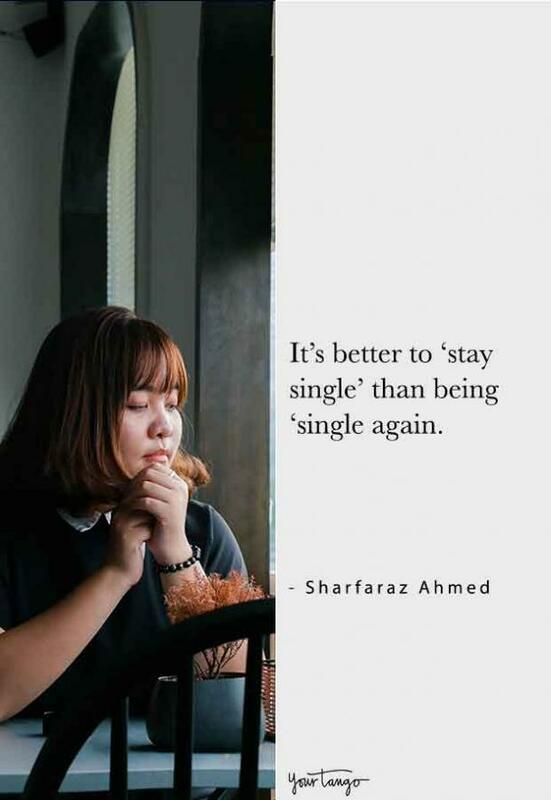 But it’s easy to get sick of the constant rhetoric that romantic love is the greatest thing in life and that there’s something missing in your life if you don’t have a partner. That couldn't be farther from the truth! 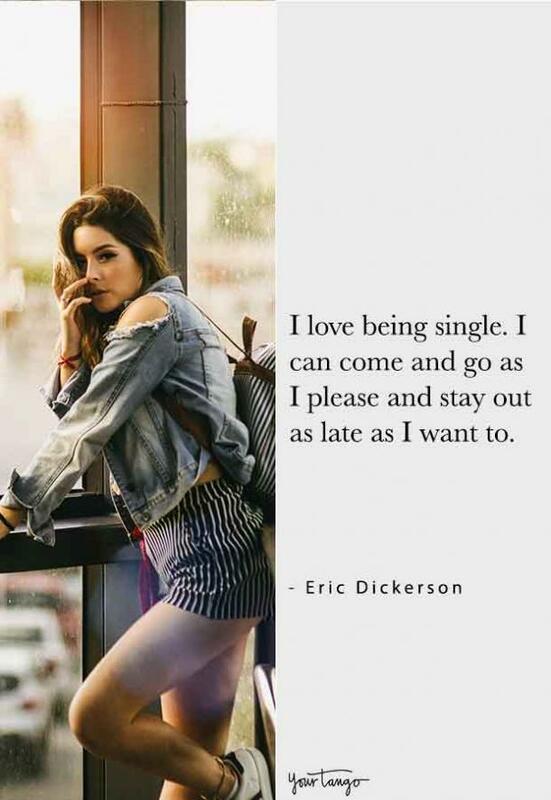 There are plenty of positives to being single. Sure, it’s nice to have someone to come home to after work but that someone can be a beloved pet that doesn’t care if you take off your bra and pants and slouch into the couch with a tub of ice cream the second you get home. It can be Netflix — you can Netflix and chill by yourself, and watch any show or movie you want without having to wait for your S.O. to watch the next episode. You can do whatever you want and not feel judged and that’s a freeing feeling in itself. One of the best things about being single is the necessity to dedicate time to yourself. 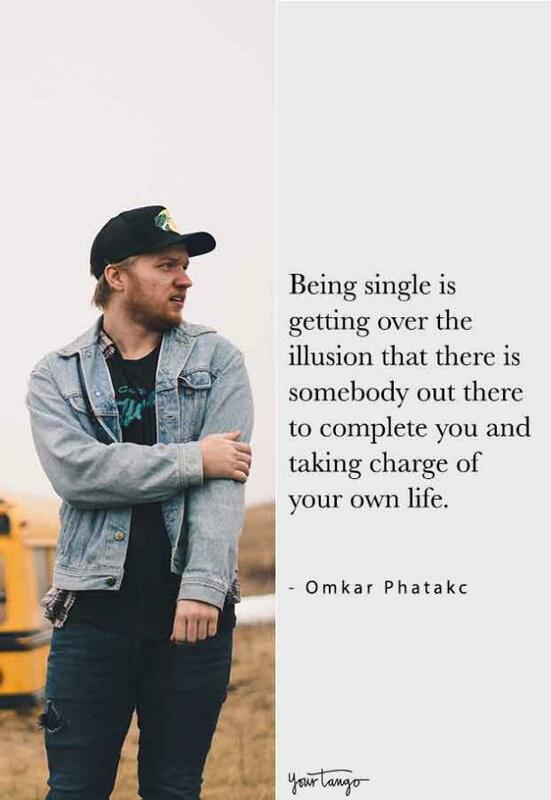 Being single makes you realize your life is what you make it. Sure, a relationship might have an impact on that, but no other human being should have jurisdiction over who you are or your happiness. No one else should guide your path. 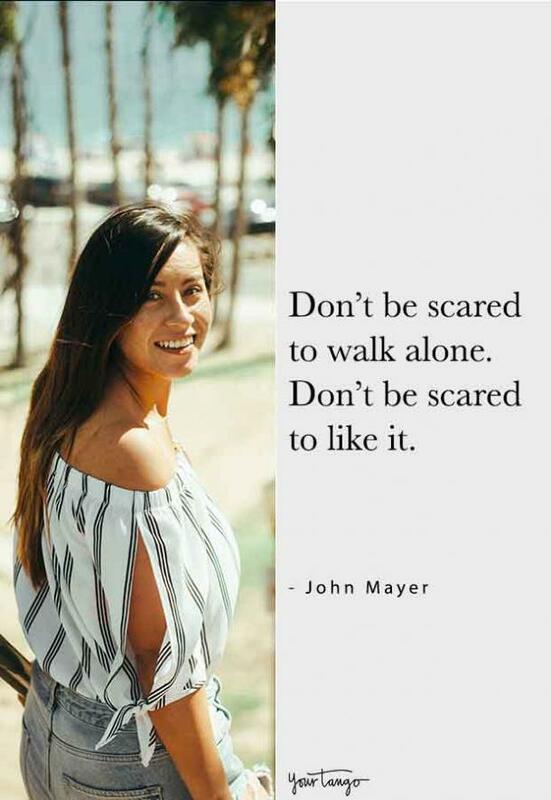 They can walk with you, but it is your path. If you search inside yourself, you will find the way. The best thing you can do for yourself, whether you’re in between romances, pining after an ex or a crush, or have bitterly sworn off love altogether, is to fall in love with the single life. 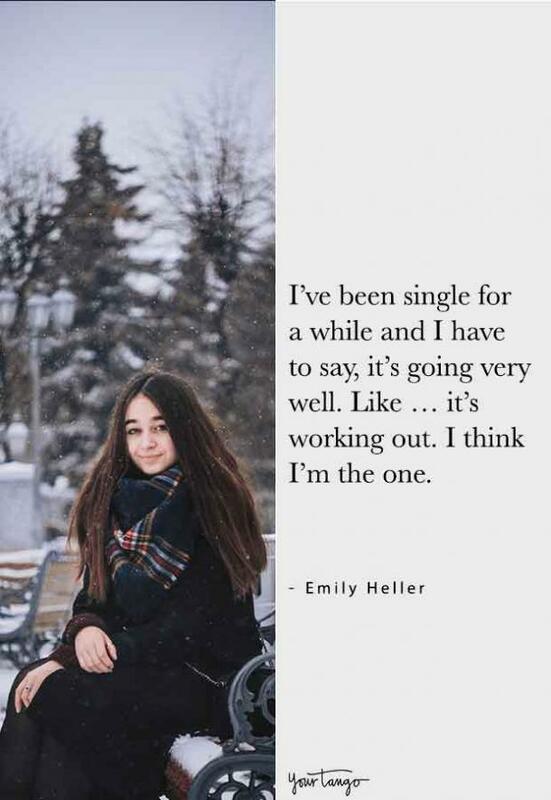 That mostly means falling in love with yourself. 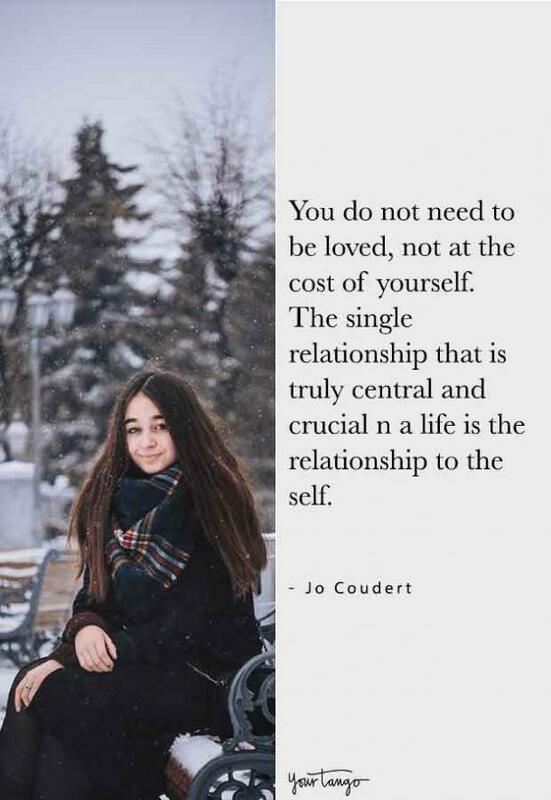 That can seem harder than falling in love with another person but your first and longest relationship is with yourself so it's essential to be happy alone. The thing is, you don’t need somebody else. All you need is yourself (and good friends and family, though friends can also be family). 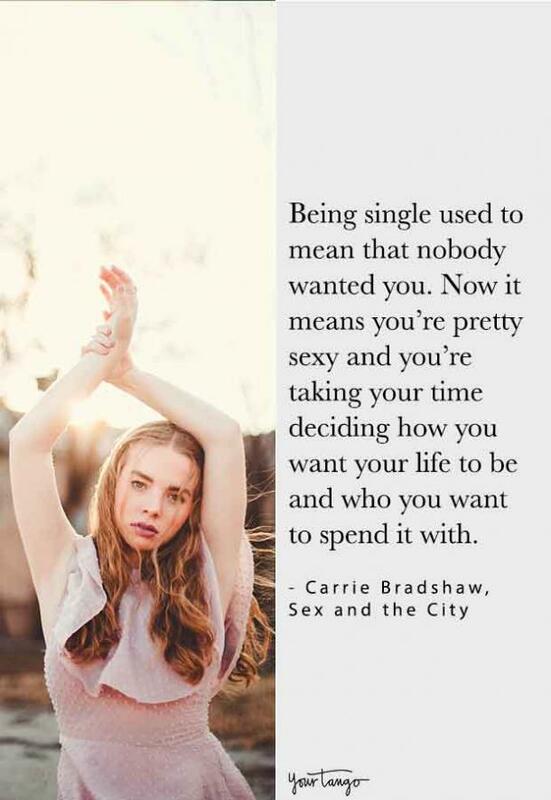 There are plenty of other people that know how wonderful the single life can be. Philosophers that lived centuries ago wrote about being single; rappers and musicians have sung about it for as long as music has been around. 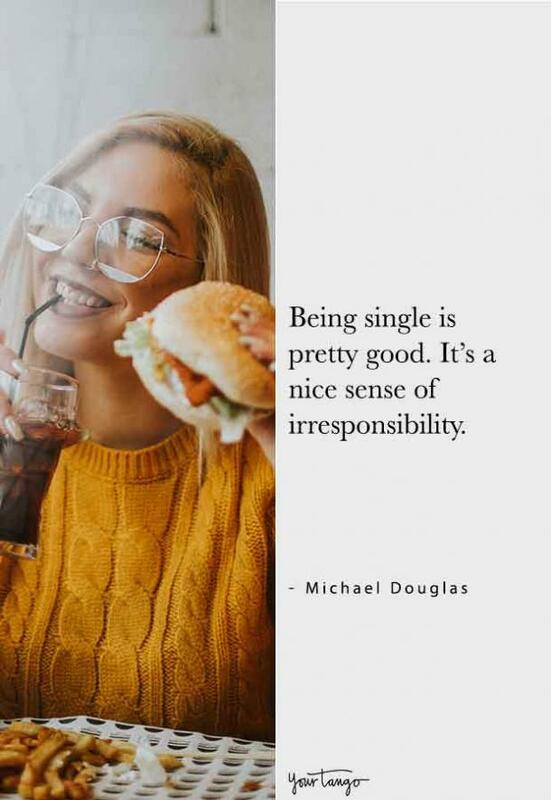 There are loads of reminders as to why being single is better than any other state of being — so here are 50. 1. Your relationship status doesn't define you. 2. You can’t always depend on others, but you can depend on yourself. 3. 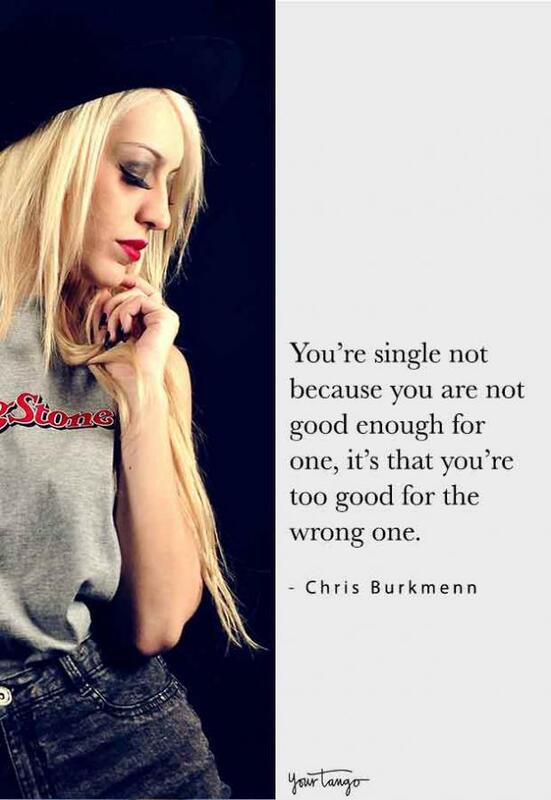 Being single is not a bad thing. 4. It gives you time to work on yourself. 5. 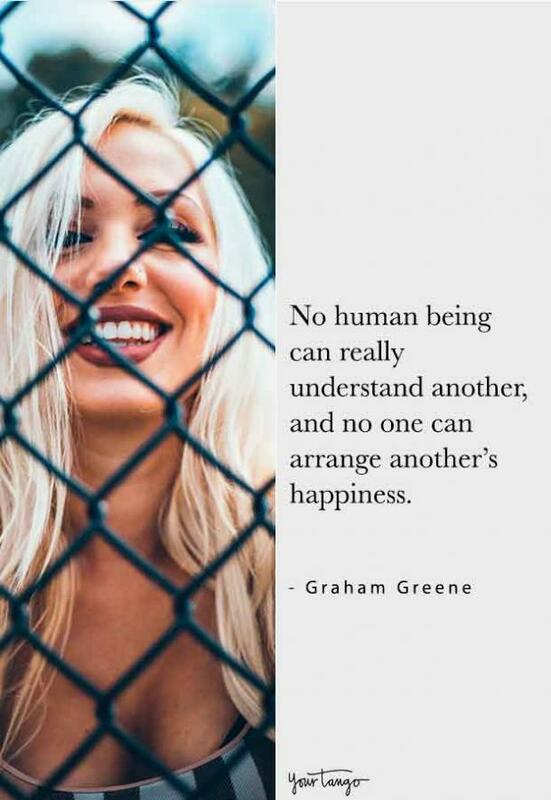 One of the world’s greatest thinkers knew relationships are overrated. 6. 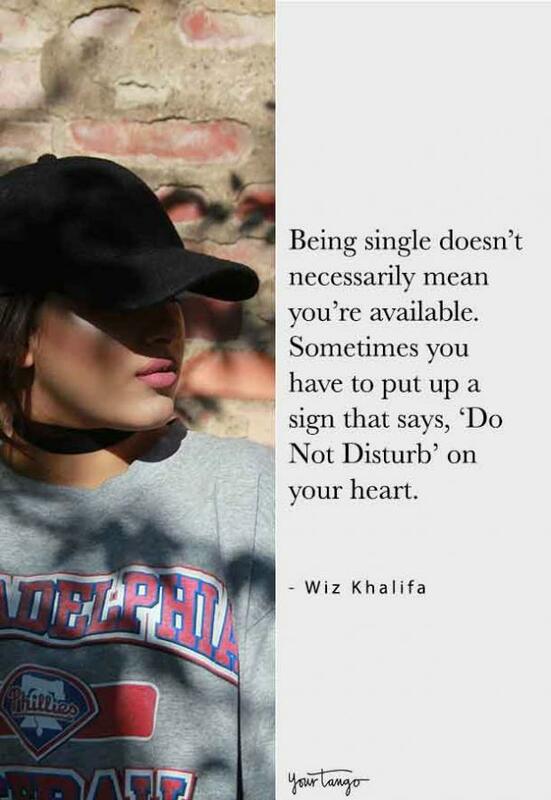 “Single” is a bit of a misnomer. 7. 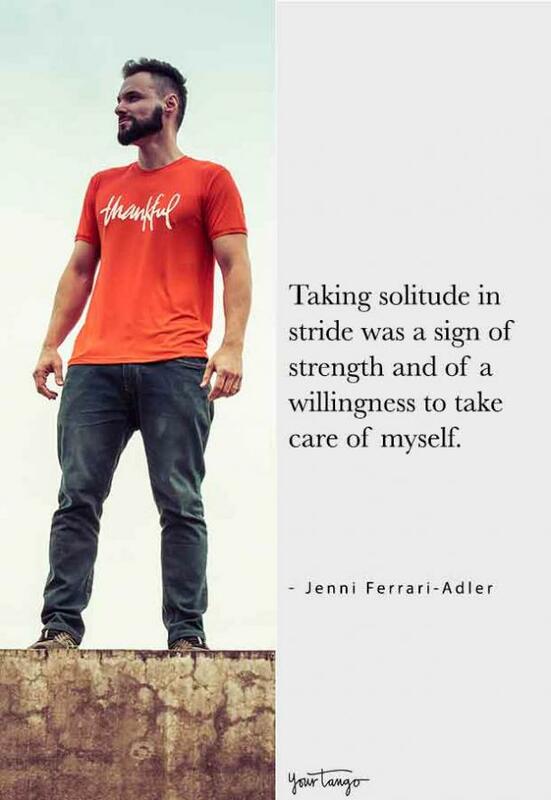 Being on your own is the best way to work on yourself. 8. There’s something a little messed up about the expectation that a relationship is necessary. 9. Self-love is all you need. 10. It’s as simple as being able to do whatever you want. 11. It's for the best. 12. The most difficult things in life can be the most rewarding. 13. You are the only one who can understand yourself and make yourself happy. 15. You deserve to put yourself first. 16. You are strong on your own. 17. The best relationship is the one you have with yourself. 18. Having responsibility for shared happiness is risky. 19. Do what's best for you. 20. You validate your own existence. 21. You know a joy not enough people understand. 23. 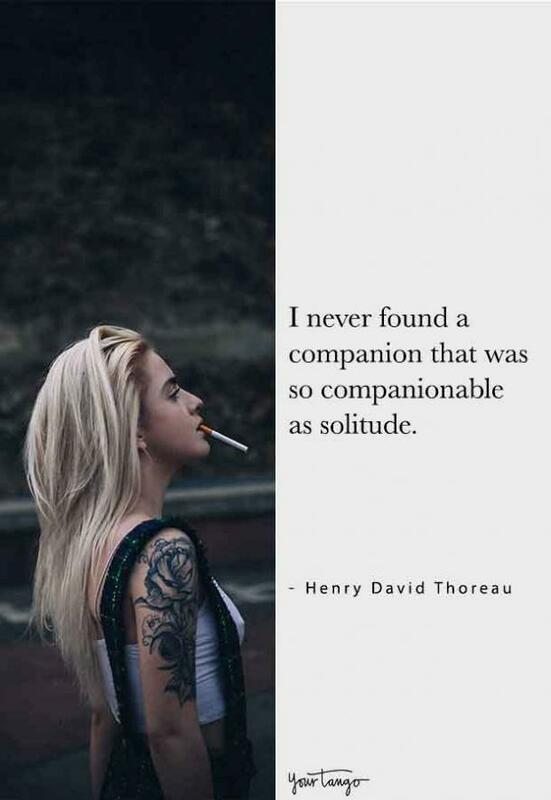 Alone doesn't have to mean lonely. 24. 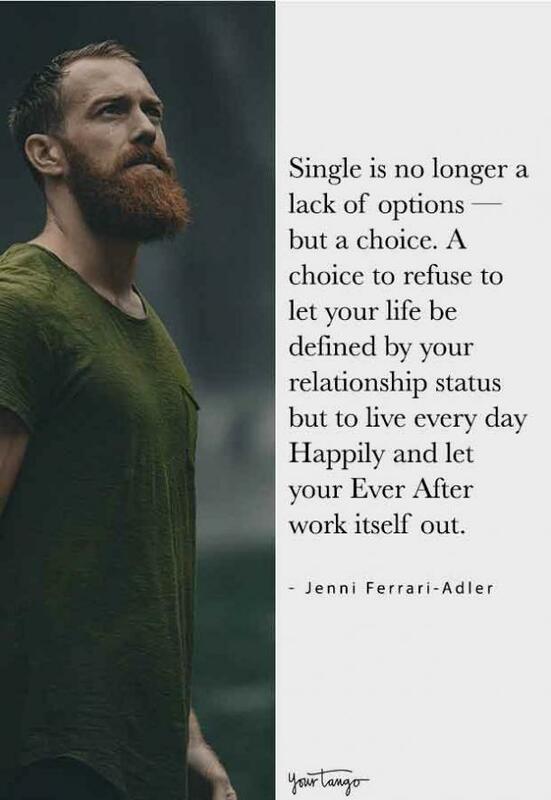 The single life speaks to your resilience. 25. There’s nothing to fear. 26. You won’t follow the crowd. 27. You don’t have to share your time. 28. No one else defines you. 29. It’s really quite simple. 30. You can be your own best friend. 31. 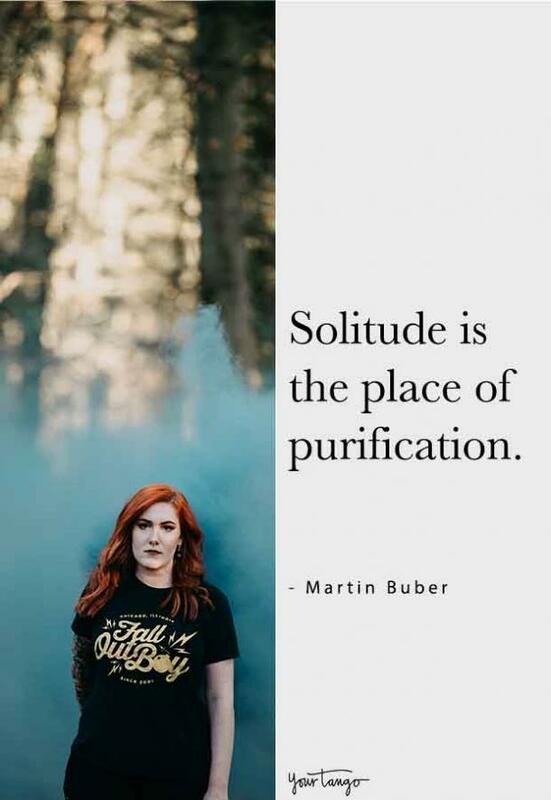 Or you can be solitude’s best friend. 33. You are always enough. 34. Relationships can be an illusion. 35. It’s a matter of gaining respect. 36. Relationships aren’t a prerequisite for happiness. 37. You can be yourself. 38. Surround yourself with friends. 39. You are a rare beauty. 40. It’s dedication to yourself. 42. Sometimes you have to prove others wrong. 45. Romantic relationships are overrated. Friendships are where it’s at. 46. Your relationship with yourself is the most important. 48. What would you prefer? 49. You know the risk is very likely not worth it. 50. There’s no shame in having fun. 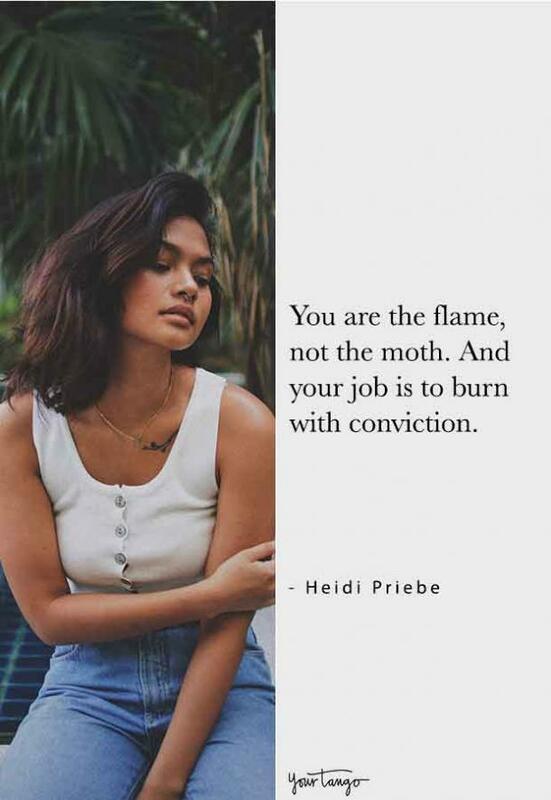 If you’re looking for a little inspiration, we’ve got the best quotes to share and savor. For quotes from the most inspiring celebs, activists, and poets, look no further! You might even find the quote that motivates the best parts of your life (and love!) forever. Alison Cerri is a writer who covers astrology, pop culture and relationship topics.